J&D House Services Cleaners in Warrington know too well there’s no place like home especially one that is squeaky clean. You definitely know the feeling of excitement, contentment, and confidence when your indoor environment is not just clean but sparkling. That’s what we promise you with our best-in-class cleaners in Warrington. Upon the initial visit, your house is cleaned top-to-bottom using our Checklist that ensures no part is left out. This is the most lengthy (and costly) visit, bringing your home up to our standard of “clean”. After this first facelift, we will be pleased to return on a weekly, biweekly, monthly, or occasional basis as you desire. In order to keep your home and your wallet looking their best, we do offer reduced rates for more frequent visits. As every home is different, we invite you to discuss your requirements with a dedicated member of staff assigned to your project. We value attention to detail as much as you do. After all, a clean home is a happy home. Our team also looks every bit of premium cleaning. Uniformed, experienced, well equipped, and skilled, we make cleaning fun and worth looking forward to. And you don’t need to lift a finger because we got it all covered! Quality cleaning service. 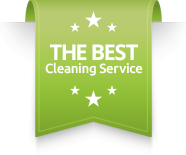 We are committed to exceed our very own high domestic cleaning standards each time. Special and state of the art equipment that will efficiently and quickly clean every part of your home including low clearance and hard to reach areas. Affordable cleaners. We charge at an hourly rate for house cleaning services. Our expert cleaners in Warrington are the most assured way to improve the beauty and value of your property quickly. From biological to solid waste, we will handle all aspect of waste management so you no longer have to worry about paying for extra services to get the job done. Whether you wish bring new vibe to your home or create a lasting impression on the mind of your business clients, J&D cleaners can help solve all your cleaning needs- call us now!